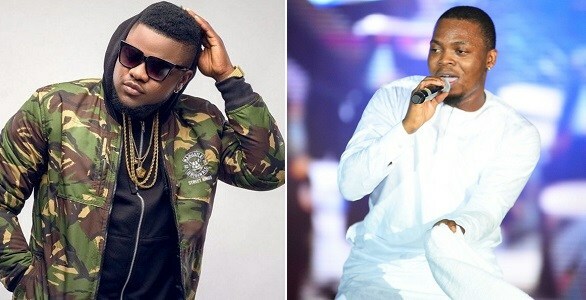 Shake Body crooner, Skales has disclosed that YBNL Boss, Olamide gave him the money to shoot the music video for his hit single, Shake Body, says his life changed since then. 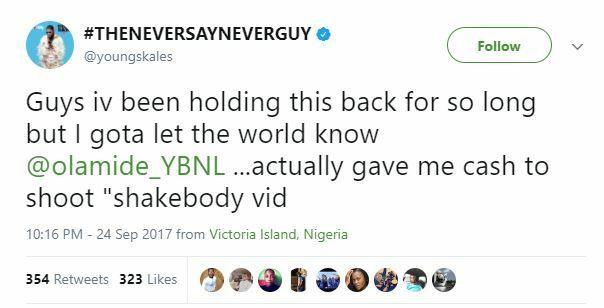 Skales revealed this via tweets on Twitter. The singer said he was so broke then, that he could'nt afford to pay for the music video. 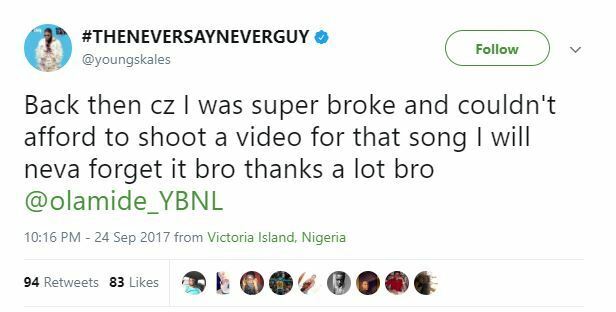 Guys iv been holding this back for so long But I gotta let the world know, Olamide actually gave me cash to shoot “ShakeBody” Video”. And since then my life has never been the same….GOD BLESS ALL THE REAL AND TRUE ONES OUT THERE..